Improve cardiovascular fitness, strength, flexibility, and CVD risk factors!!! "To improve glycemic control, assist with weight management and reduce risk of CVD, perform 150 minutes per week of moderate-intensity aerobic physical activity and/or at least 90 minutes of vigorous aerobic exercise"
-Initially, individuals who have been inactive should engage in only low-to-moderate intensity exercise. -It is recommended to exercise at an intensity corresponding to percent heart rate reserve (HRR). Heart rate reserve is the difference between your max heart rate and your resting heart rate. Individuals with diabetes and low functioning capacity, and/or suffers from diabetes related complications (DRCs) are recommended to exercise at an intensity corresponding to 40-60% of their heart rate reserve. 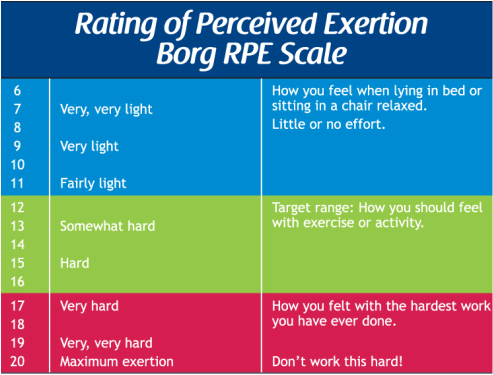 (On a rate of perceived exertion scale, this would be considered 'fairly light' to 'somewhat hard exercise'). Individuals without history of DRCs and whose function are not limited are recommended to exercise at intensities corresponding to 50-75% HRR. (On a rate of perceived exertion scale, this would be considered 'somewhat hard' to 'hard' exercise). It is recommended that this individual's cardiovascular training zone be from 124 to 142 beats per minute! Neuromuscular training is exercise that increases balance, agility, and proprioception. It is recommended for untrained individuals and those at high risk for trip/fall injuries but it is highly beneficial to anybody! Read the article below for more information on resistance training! "Some quit due to slow progress. Never grasping the fact that slow progress... is progress." Ehrman, Jonathan K. ACSM's Resource Manual for Guidelines for Exercise Testing and Prescription. 6th ed. Philadelphia: Wolters Kluwer Health/Lippincott Williams & Wilkins, 2010. Print.